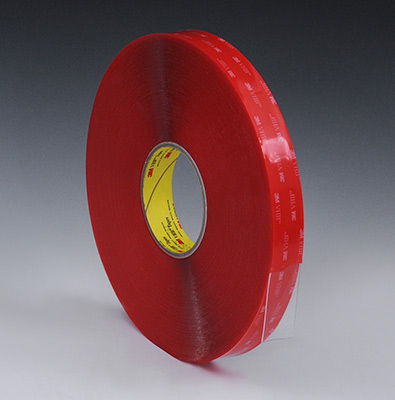 Super strong VHB tape provides exceptional strength. Choose VHB tape for its aggressive adhesive, durability, clean appearance and for bonding, attaching, or mounting products. 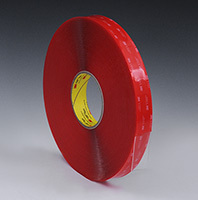 3M Clear 4910 tape bonds clear or colorless materials like glass, acrylics, and mirrors and provides 100 lbs. tensile strength for every two inches of tape.